Donna is one of our Client Service Representatives. She joined our team in 2004, and has been working in the animal care field in some capacity for over 12 years. A love of and respect for animals has been a driving force in her life since early childhood. Her other interests include photography, Dragon Boat racing, kayaking, reading, music, and nature conservation. 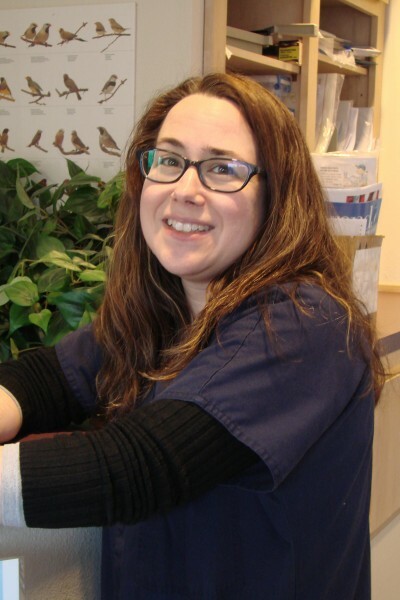 Sara has worked in animal care and training since 2001, and at Oak Hills Veterinary Clinic since 2010 as a Client Service Representative and member of our Leadership Team. Sara lives with five dogs (four Shetland Sheepdogs and one Border Collie mix). She regularly competes with them in dog agility and rally obedience. Kristi has worked as a Client Service Representative since 2007. Before that, she was employed at the Nevada Humane Society. She loves to laugh and can find humor in most situations. She is invaluable to us in many ways, especially in the areas of time cards and bookkeeping. She loves being able to work with clients who love their pets. Kristi lives with two cats. In the past she has also lived with dogs, rats, and hamsters. She enjoys musicals, karaoke, trivia and word puzzles. Jennifer joined our team in 2010. She started as a veterinary assistant, and is now an exam room technician. Her great work ethic and ability do well in any situation make her a great addition to our team. Her hobbies include watching movies, football, and basketball. She always enjoys camping and hanging out with her family. 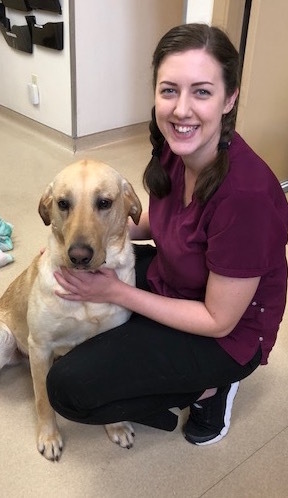 Kelsey began working as an assistant in May 2018, and quickly proved herself to be a shining star. She brought previous customer service experience and loves talking with clients! Her enthusiastic personality and willingness to learn makes her an extremely important part of our team. She has a great sense of humor and always has the team laughing about something. She owns a young dog, Barley, who loves Kelsey just as much as we do! In her spare time, she can be found enjoying the outdoors.